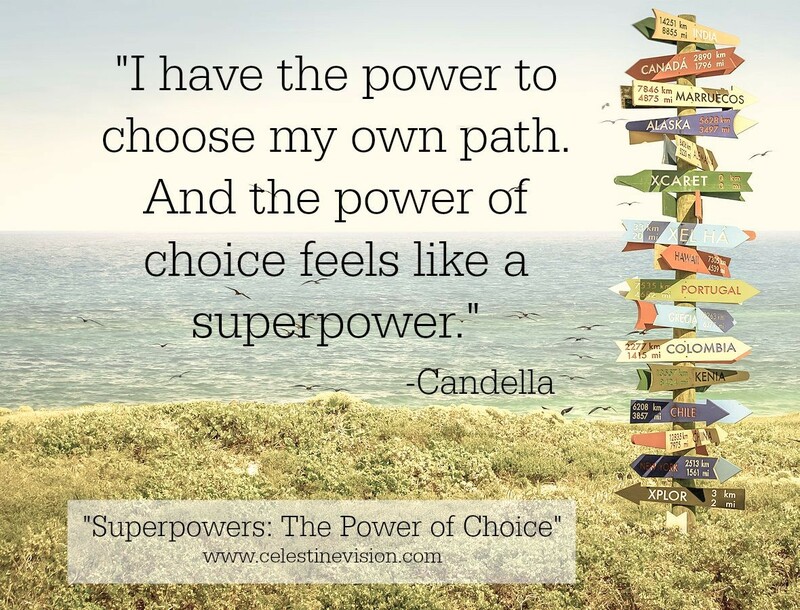 One of the most empowering lessons I’ve ever learned was about the power of choice. I learned a great deal about the power of choice from some circumstances in which the person involved had little or no choice available. I’d like to share a few of those stories with you here. The first story comes from a horrific time in history. Millions of people were taken from their homes and put to work in concentration camps or put to death for no other reason than the circumstances of their heritage. Can you imagine being forced to work in a prison camp even though you had done nothing wrong? How incredibly unfair! As I imagine being in that situation, I suspect I would feel very sorry for myself. I would likely also get very angry, and maybe even attempt to fight back (and probably get killed in the process). One of the millions taken into the concentration camps was Dr. Viktor Frankl. In the context of a prison camp, as you might expect, Dr. Frankl did not have a lot of choices. He was told when to awaken and when (and where) to sleep. The times of meals were chosen for him, as well as the menu. Even the amount of food was completely out of his control. He had no choice about the behaviors of the guards or whether the other prisoners or he, himself would even survive the internment. While I might react to such conditions by noticing my helplessness, anger, self-pity, Dr. Frankl chose to focus his attention to the positives in the situation. Though he doesn’t specifically use the phrase “the Power of Choice,” I can see where he put his attention was paramount to his success, survival, and ability to help others. There wasn’t much food available, but he chose to appreciate what he was given. He could also choose to share with a comrade in the camp. The walls were dingy and did not shed much beauty, but Dr. Frankl had the power to close his eyes and choose to bring forth mental images of beauty he’d seen prior to the camp. Even in the dark, dismal atmosphere, he could imagine the beauty of a flower, the face of his beloved wife, or of other joys he’d known. The prisoners were forced to work very long days, from before sunrise to after sunset. While he could have chosen to focus his attention on the work, he instead chose to notice the pink of the sky and the puffiness of a soft cloud. Throughout his experiences in the prison camp, he noticed that those who held on to the bits of hope were the prisoners who stayed healthier, more able to manage the tasks, and ultimately more likely to survive. If Dr. Frankl and his comrades in the prison camps could choose to focus their attention on the positive, maybe the rest of us, in less terrible conditions can also choose to focus on the hopeful, beautiful, and meaningful moments in our lives, as well. Lesson from Dr. Frankl: We can always choose where we focus our attention. I first learned about the power of choice from an “out-counselor” named Sherry. I was a teenager at the time, and I’d gotten into some trouble which resulted in my getting “stuck” with a lady who came to my house to help my mother figure out how to deal with her unruly teenage daughter (me 😀 ). When Sherry arrived at my house, I was feeling surly, and not very pleasant to her, or to my mom, or to anyone, really. I felt justified. I’d had some bad things happen to me, and I was angry at my mother for her part in making a series of mistakes. Sherry told me a few things about her own background, and how she’d made a decision to be an out-counselor. She’d had some rotten experiences, with which I could relate. She also told me that from her experience, she could either follow the footsteps of the mistakes that had gone before her, or she could learn from those mistakes and make a new path. She was right. I did have the power to choose my own path. And the power of choice felt like a superpower. Lesson from my story: Even if others have made some bad choices, we can choose to follow them, or make our own path.